Meizu has announced two new smartphones in the last couple of weeks, the Meizu M2 Note and Meizu MX5. The M2 Note is this company's mid-range offering, a solid smartphone which doesn't cost all that much. The MX5, on the other hand, is Meizu's new flagship offering. Much like every other Meizu-branded handset, this thing offers an appealing price tag, and really does have lots to offers. That being said, Meizu has announced a press event a while back for today's date, and the company has even teased the arrival of the Meizu M2 for quite some time now. Well, this Chinese smartphone OEM has just announced their entry-level offering, read on. 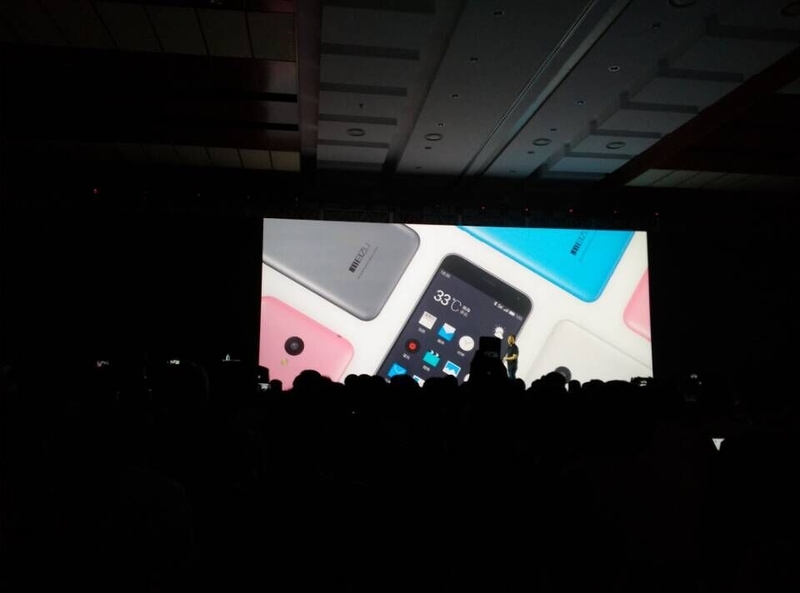 The Meizu M2 is a direct successor to the Meizu M1 which launched back in January this year. The Meizu M2 is essentially a smaller variant of the M2 Note which launched recently. The M2 sports a 5-inch 720p (1280 x 720) display along with 2GB of RAM and 16GB of internal storage (expandable via microSD card up to 128GB). The device is powered by MediaTek's MT6735 64-bit quad-core SoC running at 1.3GHz, and a Mali-T720 MP2 GPU is here for graphics processing. The 13-megapixel camera (f/2.0 aperture) is available on the back of the M2, while you'll be able to find a 5-megapixel snapper on its front side. The 2,500mAh battery is also included in this package, and same can be said about 4G LTE connectivity, and two SIM card slots. Android 5.0 Lollipop comes pre-installed on Meizu's newest entry-level device, while the company's Flyme UI 4.5 comes installed on top of Google's operating system. As already mentioned, this is essentially a smaller variant of the M2 Note, and like the M2 Note, it sports a physical home button below the display. Unlike Meizu's previously announced handset, however, this phone does not offer a fingerprint scanning capabilities. Meizu's newest entry-level smartphone will be available in a number of color variants (Blue, Pink, Grey, White) and will cost 699 Yuan ($113) in China, available soon. Keep in mind that the device is initially priced at 599 Yuan ($96), during pre-order period, it is possible that Meizu goes with that price in the end, but the 699 Yuan pricing was announced. There you have it, this is Meizu's newest, extremely affordable entry-level handset. Stay tuned for additional info.